Indian food you can eat in 3 ways - ordering at an Indian restaurant, buying packaged Indian food at some grocers or cooking it from the scratch. But yes restaurant food can stay good for 7 days. Packaged Indian food are either with preservatives or in the frozen section. Both distorts the real flavor of Spices. Cooking from the scratch could take easily 30-45 minutes. The solution is ours packaged HPPed Curry. HPP(high pressure pasteurization) keeps the original flavor and taste of Spices for 90 days in refrigeration without using any preservatives.Visit www.CurryFresh.net . And if you have Curry Fresh products sitting in your refrigerator, you can make an entree in 5-10 minutes.Not used to Spices! Start using cold Curry with your salad, burger or bowl of pasta.One caveat here. Spices don't make food Spicy, Chili or pepper does as in any other cuisine. Indian food is the key to our concept of Disruptive Eating practiced at Nirmal cafe since 2013 (closed now), read below. 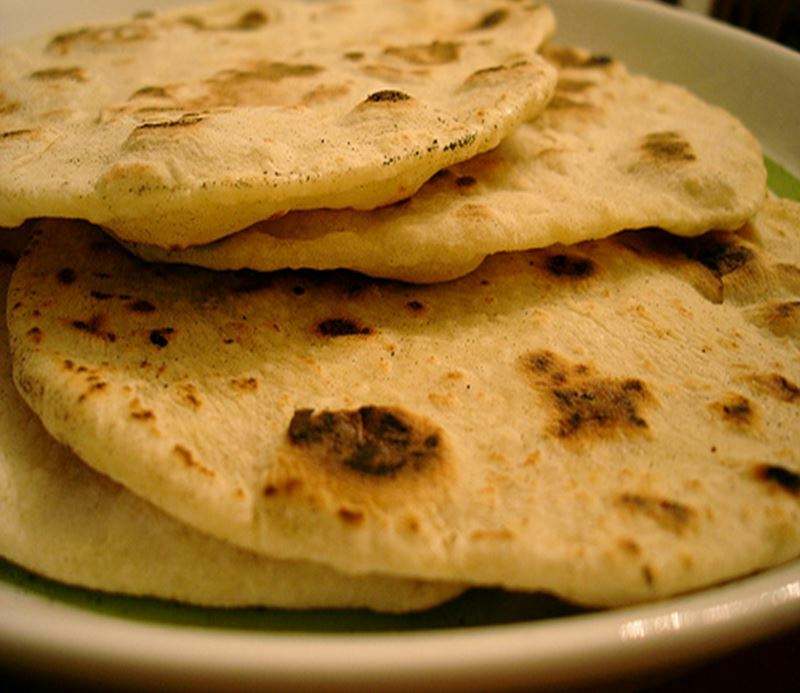 Roti(whole wheat bread) is staple food item for the majority of us Indians.Not sure how naan(white flour bread) bacame synonymous with Indian cuisine here in the US. Simply switching from white to wheat bread can reduce the risk of heart disease by 20%. Nutriggets are made from soy beans and they work well as meat substitutes. Meat alternatives that come from soy beans are complete proteins. Lentils, a small but nutritionally mighty member of the legume family, are a very good source of cholesterol-lowering fiber. Is buffet good for healthy eating? Also how the restaurants here manage to do it at such low price? Or is it commercially viable as in the case of Buffets Inc? The US has 5% of the world population but we are consuming 52% of the world medicines. Why? The US has 70% overweight prevalence including 36% obesity. Why? The per person per day meat consumption in the US is 330 gms as compared to 220 gms for Europe and 160 gms for China. Why? The global obesity report 2016 ~ What chance does the United States have to stop the rise of obesity by 2025? Zero, the study says. Why? First thing first, white breads and white rice are not whole grain. But the bigger problem is we eat so much white breads that whole wheat breads are costlier than white breads. Watch out for the glycemic index of food items you eat. You don’t need ‘Meat for Protein’ - Focus on plant proteins like lentils, Nutrigget, tofu (both made from soyabean) and other legumes which has more or equal protein with much less fat at far less price. It would make you happier if you see the water foot-prints of food you eat below. Busting myths - two of them mainly - Indian food is spicy & vegetarian eating is all about soups, salads, extra carbs or steamed broccoli. Turmeric (soul of Indian food), Cumin, Clove, Fenugreek leaves do not make food spicy, Chili does as in any other cuisine.Try our Mild Curry sauces to expand your menu that too at home. So it boils down to eating more whole grain and vegetables for 'Prevention.' Not an easy task if you think of McDonalds of the world don't offer even whole wheat breads or one option of veggie burger out of 20 meat options. Or salads or boiled broccoli are only options to eat vegetarian. You have an option now if our HPPed Curry is sitting in your refrigerator. High Pressure Pasteurization (HPP) is the only cold pasteurization technique which extends the shelf-life of food without using any preservatives or extra heating. You can add Curry to your salad or steamed broccoli to make it much tastier.Or if you are ready to spend 10 minutes in your kitchen, make an entree with nutrigget, tofu, vegetables and eat with rice, noodles, pasta or breads for your lunch or dinner. Much tastier, healthier and affordable than your tacos, burgers or pizzas. The obesity rate for the Asians including Indians in the US is 12% as compared to 36% for the general population. Our food and eating style does play the main role as you won't find many Asians or Indians at Planet Fitness or Gyms. India has 500 million vegetarians, 42% of its population and 65% of total vegetarians in the world. The credit goes to our ‘Curry’, period. The US has only 10% vegetarians and China has 5%. First, the health equality is the key to fight the income and educational inequality – 3 components of the social inequality. The obesity and overweight prevalence does impact the quality of life. Second, if you #EatRight, you make #EatingHealthyCheaper for your community. The whole wheat breads are perfect example. Third, 64% of the world agriculture land is used for animals’ feed, not sustainable. The less meat consumption is the way to go and the Curry makes vegetarian eating easier and tastier. Fourth, HPP is the future of food as it could save billion dollars of food waste. Start eating HPPed food and become part of fight against global hunger and poverty. And at last but not the least. If 100 million people in the US skip meat one day per week, total savings of meat would be whopping 3.6 billion pound a year. The meat consumption alone accounts for 21% of the greenhouse gases, more than that emitted by all modes of transportation from the aero-planes to the motor-bikes. 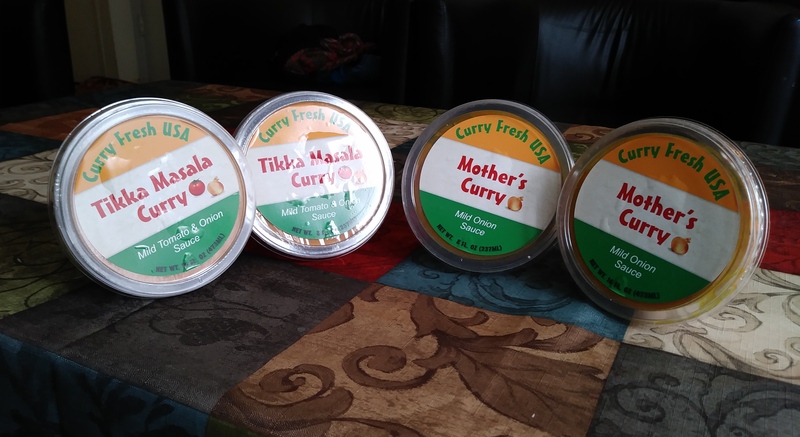 Please read our blog at http://nirmalasramban.blogspot.com , visit website www.CurryFresh.us and Twitter handle at http://twitter.com/CurryFreshUSA to get a feel of our concept.